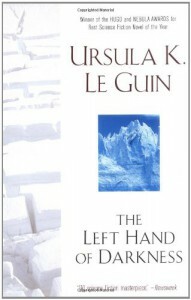 Amazing, just so good and I can't believe it took me so long to get reading it since I read and loved the Earthsea books in the past. I think it is really a cover-issue but on Kindle you don't really mind the covers so much. I don't really write reviews here since I never know what language to write them in so generally my end of book updates are just some random impressions. Here, I kinda wish the English language would have a 'hen' (swedish neutral gender term) but on the other hand the constant use of 'he' made it clear that the world view of Ai is that of a masculine person and how masculinity is the norm. I can't help also wondering if it is done with a nod to sales. We all know that men tend to read books about males while females read books about both males and females... just an idea.